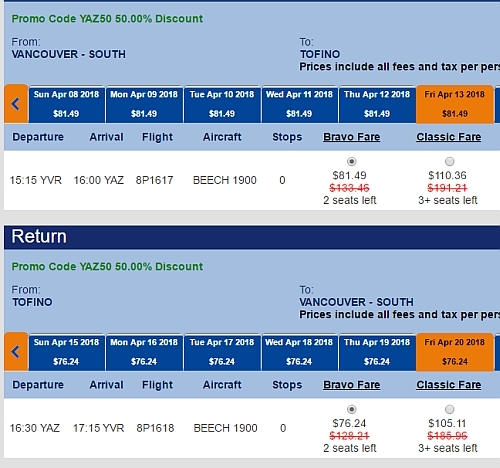 Pacific Coastal Airlines has dropped the price of their flights from Vancouver to Tofino (YAZ) down to $158 CAD roundtrip including taxes. The 50% off promo code that makes this possible is valid until Thursday, Mar 22 at 23:59. 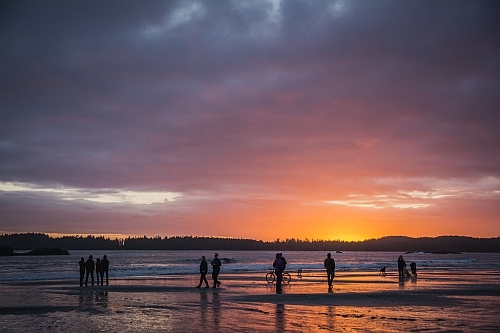 Vice-versa trips (Tofino to Vancouver) are also available for $158 CAD roundtrip. - Look for the dates that are $81 for the flight there, and $76 for the flight home. vancouver, yvr, flight deals, canada, north america, british columbia, bc, pacific coastal airlines, tofino and ucluelet.